Baton Rouge, LA - Agriculture Secretary Tom Vilsack recently reminded African American farmers and ranchers that the period to file a claim in the Pigford II settlement has opened, and eligible candidates must file claims no later than May 11, 2012. "With the opening of the claims process, African American farmers and ranchers who believe they are entitled to compensation under the Pigford II settlement must file a claim within 180 days in order to receive cash payment or loan forgiveness," said Secretary Vilsack. "The opening of this claims process marks another milestone in USDA's efforts to correct the wrongs of the past and ensure fair treatment to all current and future customers." In February, USDA and Department of Justice announced an agreement with African American farmers to settle the Pigford II litigation for $1.25 billion. Congress passed the Claims Resolution Act of 2010 that funded the settlement in November 2010, and the bill was signed by President Obama in December 2010. The settlement arises from a class action lawsuit against USDA that alleges the Department discriminated against African-Americans who applied for or attempted to apply for farm loans or other farm benefits between January 1, 1981 and December 31, 1996. The settlement applies only to African-American farmers who meet specific eligibility requirements, including the requirement that they previously submitted a request to file a late claim in the 1999 Pigford I class action Consent Decree. The filing period opened November 14, 2011, and continues for 180 days, until May 11, 2012. Claimant services representatives can also be reached through calling 1-877-810-8110 or 1-866-950-5547. Claimants must register for a claims package (by calling the number or visiting the website) and the claims package will be mailed to claimants. All those interested in learning more or receiving information about the claims process and claims packages are encouraged to attend a meeting and contact the website or claims telephone number. 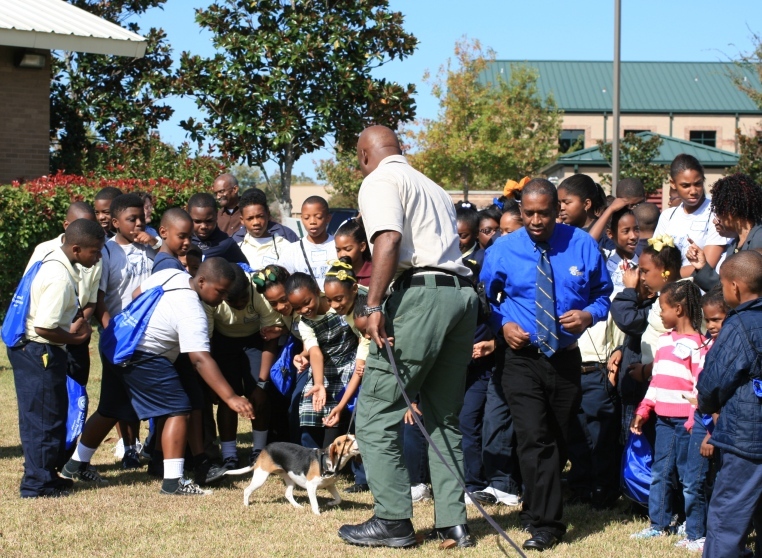 Baton Rouge, LA - Opelousas held its first Teen Summit on November 22 attracting a small cheering crowd .The the City of Opelousas sponsored the summit aimed at helping stop teen violence. The speakers ranged from former coach Raymond Duplechain to Dr. Aubrey Williams with Southwest Center for Rural Initiatives, a satellite entity of the Southern University Agricultural Research and Extension Center. "I didn't know what to expect, but it was real. They gave them the Word, no ifs, ands or buts about it," said Elizabeth Dave, who brought her two teenage children to the summit, held in the teen center in South City Park. Community activist Tyrone Glover, who organized the summit, said he and the other presenters hope to make this a regular event. "We'd like to do this at least four times a year. We definitely want to help our youth and parents," Glover said. The program was prompted by the death of a young man earlier this year who was killed in a knife fight with another teenager. "There is too much violence going on. We need to start cleaning up the problem," Glover said. During the program, Glover spoke of his own youth growing up in Opelousas, which saw him involved in many fights and drug dealing. "I was part of the problem for a long time. Now I'm losing sleep trying to be part of the solution, but I can't do it alone. We need everyone to get involved," Glover told the assembled parents and teenagers. Glover then introduced Lt. Donald Young, one of the Opelousas Police officers who helped get him off the street by arresting him. "I'm a product of the streets from a single parent home," Young told the teens. "I know the streets are tough and peer pressure is running wild. We are losing a generation to crime and senseless violence." While giving advice to the teens, Young also spoke to the parents, telling them the solution begins in the home. "It is all about keeping the lines of communication open," Young told the parents. He also urged the teens to show respect to their parents. "They have been there." Young then introduced former coach Raymond Duplechain, who Young said served as the father figure he did not have at home when he was growing up. Duplechain's message was about choices. "If you want to change the results, you need to change yourself. Everything you do is a choice," Duplechain said. Next, Dr. Aubrey Williams with the Southwest Center for Rural Initiatives spoke on the importance of respect and emphasized that the goal of the meeting was to help young people understand respect for themselves and others. "Respect is the first step. If they don't have respect for others, they can't have respect for themselves," Williams said. From this initial meeting, Williams said the group hopes to work with the Southwest Center for Rural Initiatives on a number of workshops to share lessons on leadership, character building and alternatives. The Southwest Center for Rural Initiatives is a satellite entity of the Southern University Agricultural Research and Extension Center. For more information, contact the Southwest Center for Rural Initiatives at 943-2410. 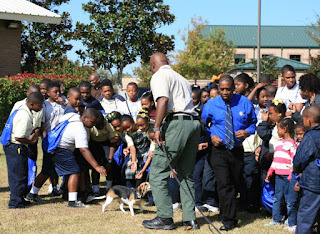 Baton Rouge, LA - The National 4-H Council intends to award a grant in the amount of $82,000 for its Mentoring Program – OJJDP Award 2011-MU-MU-0026 to Southern University Agricultural Research and Extension Center. Upon clearance of final application documents the related grant agreement will be issued. For further details, please contact Tiffany Franklin at 225-771-2242. 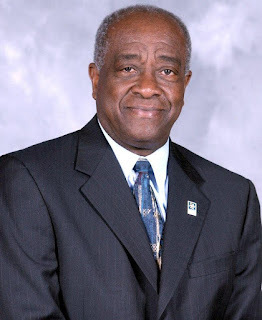 Baton Rouge, LA - Louisiana Public Health Institute CEO Joseph Kimbrell sent a congratulatory letter to Southern University for implementing a system wide tobacco-free policy that goes into effect Jan. 2, 2011. The SU Ag Center’s Communities of Color Network Program initiated the policy which recently met the Southern University Board of Supervisors’ approval. Southern University Ag Center is taking the lead in “clearing the smoke” with a kickoff celebration on November 17th. Southern University System Board of Supervisors adopted a 100% Tobacco-free policy on October 28 for all campuses effective January 2, 2012. The Communities of Color Network (CoC) has been instrumental in providing educational awareness activities and advocacy events throughout the System in excess of four years under the direction of Linda Early Brown. Mrs. Brown states that “the vision of the University to adopt a 100% tobacco-free policy is phenomenal because it ensures the health and well-being of the University community.” This Kick Off celebration is in conjunction with the nationwide celebration, Great American Smoke Out. CoC recognizes that quitting is hard, but smokers can increase their chances of success with help. Please join the SU Ag Center on November 17th from 11:30 a.m. – 1:00 p.m. in a tailgate style Cook Off on the lawn of A. O. Williams Hall, featuring our chef, Chancellor Leodrey Williams and his staff of Sous Chefs (men at the Ag Center). Specialty foods will consist of the famous Ag Burgers and hot dogs! Free giveaways, cessation information and much, much more will be shared. Frankie Poland, regional coordinator takes pride in the CoC’s motto which states “we are not waiting for the smoke to clear, but we are clearing the smoke.” She further emphasizes that by planning to quit, smokers will be taking an important step towards a healthier life. CoC invites you to join the SU Ag Center in this fun-filled, educational event. For further details, please contact Linda Early Brown or Frankie Poland at 225-771-2242. Baton Rouge, LA - The SU Ag Center urban forestry scientist, Daniel Collins, PhD, held a Biosecurity Symposium, Nov. 8-9, featuring George Washington Carver. Best known for his work popularizing the farming of peanuts and sweet potatoes, Carver also researched the fungi that preyed upon those and other crops. Baton Rouge, LA - Leodrey Williams, Chancellor of the Southern University Agricultural Research and Extension Center and Roberta Madden, a former YWCA activist, will be honored at the 2011 Brotherhood/Sisterhood Awards Dinner on Wednesday, November 16 at 7 p.m. The 100 Black Men of Metro Baton Rouge, in partnership with the 2011 Brotherhood/Sisterhood Dinner Committee will host the 49th annual awards dinner at the Hilton Capitol Center, 201 Lafayette Street. Both Madden and Williams have long, impressive records of accomplishment of making outstanding contributions to the community in an effort to help break down barriers that divide society and stop people from achieving their goals. Madden's past includes a remarkable history of actively working, largely through the YWCA, to foster improved interracial and interpersonal relations within our community. Williams has worked tirelessly for nearly 40 years to overcome barriers as well to help improve relationships among the races, faith organizations, and people of different socioeconomic backgrounds throughout the state of Louisiana. The Brotherhood/Sisterhood Awards Dinner annually recognizes two outstanding individuals in the Greater Baton Rouge community who have devoted their professional, philanthropic, and volunteer capacities to humanitarian service. In advancing the mission of joining hands across racial, socioeconomic, ethnic, and religious lines, the honorees of the Brotherhood/Sisterhood Awards have worked to break down the barriers that divide the community and prevent its citizens from working and living together in harmony. The award is steeped in tradition, starting in 1963 under the leadership of the Baton Rouge Chapter of the National Conference of Christians and Jews (NCCJ). In 2006, the 100 Black Men of Metro Baton Rouge assumed the legacy of this event from the NCCJ, which closed its doors in Baton Rouge that same year. Tickets and table sponsorships are available. Individual tickets are $115 per person. Table sponsorships are available at the following levels: Gold - $3,500; Silver - $2,500; and Bronze - $1,500. Tickets may be purchased by contacting the 100 Black Men Office at (225) 356-9444. Funds raised through the event go to support programs and services in the Baton Rouge area that help to advance the acceptance of racial, socioeconomic, ethnic, and religious ideas through the local community. Baton Rouge, LA - The Federation of Southern Cooperatives/Land Assistance Fund announced on November 9 that the period for claimants in the lawsuit to file their claims will begin on November 14, 2011 and last for six (6) months. On October 27, Judge Paul Friedman in the U.S. District Court approved the settlement for Pigford II lawsuit filed by black farmers against the USDA (otherwise known as "In re Black Farmers Discrimination Litigation"). The period for claimants in the lawsuit to file their claims will begin on November 14, 2011. It will be a 180-day period (6 months). (1) Meeting with class counsel: Class counsel will be holding numerous meetings throughout the country to meet with claimants during the 6 month period to fill out the claim forms. (b) The claimants will need to bring the claim form with them when they meet with class counsel to fill out the claim form. (3) Time period for receiving relief payments: No payments will be sent to claimants who are successful in the lawsuit until the entire universe of all successful claimants is known. Class counsel has told us that they hope payments will be sent to successful claimants around the end of 2012 or into early 2013. (4) Some misunderstandings of who is in the lawsuit and what to do: We are aware of many questions people have about their potential class membership. If individuals have any questions about whether or not they are in the lawsuit, they should immediately call the administrator in the lawsuit (EPIQ at 877-810-8110) to ask if they are on the list of claimants. The claim form asks the farmer a set of questions about the years they farmed (this lawsuit applies to the period 1981 to 1996); the size and location of their farm or farms; the crops and or livestock they raised or intended to raise; the USDA loan(s) or other services they were seeking; the discriminatory treatment they received from USDA; and whether they complained about their treatment and to whom. Individual claimants should include on the claim form all incidents of discrimination they experienced from the USDA to include both loan and non-loan program requests. "Many farmers are under the impression that they have already made a claim", said Ralph Paige, Executive Director of the Federation of Southern Cooperatives. "This is not the case. We have been fighting for ten years for late claimants to have their cases heard on their merits. Farmers will now get that chance and have the opportunity to make their case on their claim form. Our staff will be available to advise and assist people in this process." Baton Rouge, LA - USDA NRCS Organic Training and Listening Sessions will take place in November and December throughout Louisiana. "I'm very pleased that this has resolved itself," U.S. District judge Paul Friedman said. "It will provide relief to an awful lot of people." In an opinion filed in the case, Friedman deemed fair a proposed settlement that provides a system of compensation for black farmers who joined a class-action lawsuit claiming that they can prove racial bias in decisions related to Agriculture Department programs and support. "Historical discrimination cannot be undone," Friedman wrote, citing a basis to establish payments "for the broken promise to those African-American farmers and their descendants." As many as 68,000 African-American farmers who filed between 1999 and 2008 would apply for one of two forms of relief: "Track A" for a qualified claimant would lead to an uncontested payout of $50,000 after taxes, and "Track B" could yield up to $250,000 for damages that are substantiated by documents and other evidence. "So many farmers had given up hope that this would ever come to pass," said John Boyd, the head of the National Black Farmers Association. Boyd said that "It's gonna take about a year to run all the farmers through the system, each case will have to be looked at in a forum that's also looked at by the court. Once the cases are checked, then the farmers start to get their money." President Obama said in a statement that the settlement "is another important step forward in addressing an unfortunate chapter in USDA's civil rights history. This agreement will provide overdue relief and justice to African-American farmers and bring us closer to the ideals of freedom and equality that this country was founded on." Friedman recalled details of presiding over the Pigford v. Glickman case in the 1990s, named after Tim Pigford, a black farmer who claimed racial bias in applications for USDA programs and financing. "The farmers didn't think anything would come of it. They had been disappointed over the years by the government," Friedman said, "yet 16,000 of them collected something like $1.1 billion in that case." Word spread that the government was willing to pay reparations, but other farmers who had valid claims of bias had missed the deadline to file. Friedman said Congress and the president then extended the statute of limitations "to get these disappointed people back in the case." Boyd said the problem now is making sure farmers who became "late filers" are now aware the settlement is ready to go. "Some of these guys were in their 60s and maybe by now have passed away," Boyd said. "Their family needs to know that if Daddy filed, they can still pursue his claim." Agriculture Secretary Tom Vilsack, who in recent years easily acknowledged a history of racial bias among federal and local staff members in managing farm programs, said that he is "thrilled by the court's approval so we can continue turning the page on this sad chapter in USDA history." Friedman, reflecting on having spent more than 10 years on the case, said a documented history of African-American farming is a side benefit from all the research that has gone into "Pigford I" and "Pigford II," as the follow-up case became known. With the two Pigford cases come details on the farming lives of tens of thousands of African-Americans that Friedman said will stand as "a case history of the claimants parents and grandparents." He said historians and lawyers will figure out how to make that record public while respecting privacy concerns. This summer, the Southern University Agricultural Research and Extension Center conducted a performance test to evaluate equipment for Drinkable Air Technologies from June to August. The major goal of the company is to improve the environment using new technologies at affordable prices. On October 18, the company donated ten thousand (10,000) fully paid and non-assessable shares of the Drinkable Air, Inc. to the Southern University Agricultural Research and Extension Center in return for participating in evaluating their equipment. The objective of the study is to perform equipment performance test on the machine with respect to quantity and quality of water produced and electric usage in terms of kilowatt hours (KWH) consumed. The equipment was placed on level concrete blocks and was connected to 220 volts electrical box and meter to measure the electric usage (KWH) for water production. Volume of water produced and KWH consumed were measured at different intervals (5 min, one hour, 12 hours and 24 hours). Daily hourly temperature and relative humidity were obtained from the Southern University weather station located approximately 300 ft away from the equipment. Water was collected in a graduated cylinder and 5-gallon containers. For water quality analysis, filtered and unfiltered water was collected and is being analyzed in a laboratory. Water production varied from 1.98 to 4.45 gal/hr and the average electric usage per hour was 6 KWH. Clouds and rain significantly influenced the temperature, humidity and water production. Yemane Ghebreiyessus, professor, urban forestry; Roosevelt Payne, research associate; and Mila Berhane, senior research associate of the SU Ag Center conducted the equipment evaluation. For further details, please contact Dr. Yemane at 225-771-2242. On October 28, Agriculture Secretary Tom Vilsack announced funding to provide business development assistance to entrepreneurs, agribusinesses, cooperatives and communities in economically challenged rural areas. USDA Rural Development is providing the assistance through cooperative agreements with ten 1890 Land-Grant Colleges and Universities. The announcement was made on the Secretary's behalf by Rural Development Deputy Under Secretary Doug O'Brien while attending a local Farm Bill listening session in Selma, Alabama. "These 1890 institutions have some of the best agricultural science and business education programs in the nation," Vilsack said. "They also have the capacity and expertise to help small and emerging rural businesses develop income-producing projects." The institutions will use funding from USDA Rural Development to deliver entrepreneurial training, business start-up assistance, renewable energy and energy efficiency programs, website development training, and other programs designed to cultivate new business opportunities and create jobs. 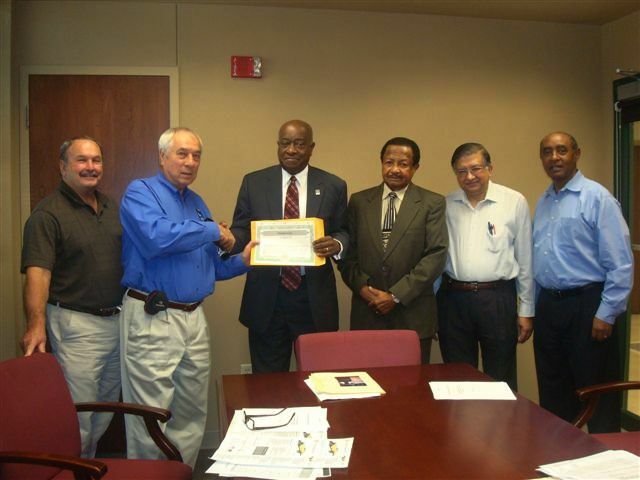 For example, Delaware State University's Delaware Center for Enterprise Development is among this year's recipients. The Center's mobile training facility is receiving a $75,000 USDA award to increase the capacity of entrepreneurs, small and limited-resource farmers, community leaders and others to develop and use renewable energy. "Projects like these will increase employment and income opportunities for rural Americans, which is a key priority for USDA and the Obama Administration," Tonsager said. Alabama A&M University AL, $75,000; Delaware State University DE, $75,000; Florida A&M University FL, $75,000; Fort Valley State University GA, $75,000; Langston University OK, $75,000; North Carolina A&T State University NC, $75,000; Southern University and A&M College LA, $75,000; University of Arkansas – Pine Bluff AR, $75,000; University of Maryland Eastern Shore MD, $75,000; and West Virginia State University WV, $75,000. Since taking office, President Obama's Administration has taken historic steps to improve the lives of rural Americans, put people back to work and build thriving economies in rural communities. From proposing the American Jobs Act to establishing the first-ever White House Rural Council – chaired by Agriculture Secretary Tom Vilsack – the President wants the federal government to be the best possible partner for rural businesses and entrepreneurs creating job opportunities and for people who want to live, work, and raise their families in rural communities. USDA, through its Rural Development mission area, administers and manages housing, business and community infrastructure and facility programs through a national network of state and local offices. Rural Development has an active portfolio of more than $155 billion in affordable loans and loan guarantees. These programs are designed to improve the economic stability of rural communities, businesses, residents, farmers and ranchers and improve the quality of life in rural America. For further detail, please contact Gloria London at 225-771-2242. Baton Rouge, LA - After years of creating educational awareness, booth displays, telephone communications, the Communities of Color Network at SU Ag Center has moved to the next level. Communities of Color Network has been working diligently throughout the SU System and Louisiana to effectively disseminate information regarding a tobacco-free existence. After many discussions and considerations, Darren Mire, Chairman of the SU Board of Supervisors, has implemented a 100% Tobacco-Free Policy for the SU System effective January 2, 2012. This policy affects employees, students and visitors. Southern University System is committed to providing its employees and students with a safe and healthful environment. Southern University System also recognizes the use of tobacco products on campus grounds is detrimental to the health and safety of students, staff, faculty and visitors. For further details, please contact Linda Early Brown at: 225-771-2242.